The ineffectiveness of the OSCE Minsk Group, which is tasked to broker the peace talks over the Nagorno-Karabakh conflict, has been strongly criticized by politicians. No breakthrough has been achieved over the resolution of the long-lasting conflict that emerged in 1988 over Armenia’s territorial claims against Azerbaijan, though the negotiations are underway through the mediation of OSCE Minsk Group co-chair countries -the U.S, France and Russia for over two-decades. The government officials and experts from different countries have accused the Minsk Group of following unsuccessful policy regarding the Nagorno-Karabakh conflict. Meanwhile, the replacement and increase of the co-chairing countries’ number are the most commonly voiced ideas. Azay Guliyev, Azerbaijani MP believes that the time has come for officially reviewing the composition of the OSCE Minsk Group and beginning discussion on its extension. Guliyev, who is also Deputy Chairman of the OSCE PA’s Committee on Political Affairs and Security, said at parliament’s spring session that Azerbaijan has been in touch for 20 years with the co-chairing countries of the OSCE Minsk Group but its composition has not had a positive impact on the settlement of the Nagorno-Karabakh conflict. He suggested Germany and Turkey’s including in the list of the OSCE Minsk Group’s co-chairing countries. Stressing that Angela Merkel, Germany’s Federal Chancellor pledged her country's support in the Nagorno-Karabakh conflict during President Ilham Aliyev’s visit to Germany, Guliyev said it is necessary to take a moment to raise the issue of Berlin’s inclusion into the list of the Minsk Group’s co-chairs. "The second proposal is to include Turkey, which is a strong state in the region," he added, noting that this country has certain features that may influence the settlement process of this conflict. He also recalled Ankara’s statement noting that the opening of borders with Armenia depends on settlement of the Nagorno-Karabakh conflict. "I think that, until recently, all three co-chairs of the OSCE Minsk Group supported Armenia. Therefore, it is necessary to revise the composition of the Minsk Group for creating a balance to ensure a fair position and I plan to raise the issue at the PACE winter session,” Guliyev said. Turkish MP Sinan Ogan supported Guliyev’s suggestion on inclusion of Germany and Turkey in the list of the Minsk Group co-chairs. He told Trend that the policy pursued by the Minsk Group is unsuccessful because there is a strong Armenian diaspora in the co-chairing countries. Ogan noted that the problem should be resolved at the current stage, adding that to this end, a strong international organization is necessary. 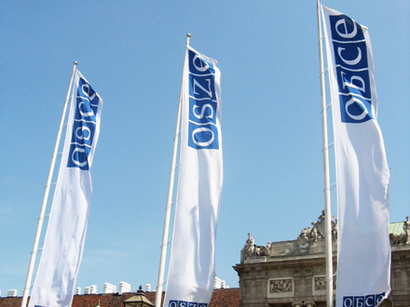 “Unfortunately, OSCE Minsk Group has completely lost its respect,” he said. However, Matthew Bryza, Director of the International Centre for Defense and Security in Estonia and former U.S. ambassador in Azerbaijan said criticizing the Minsk Group for ineffectiveness is not fair. “The co-chairs and the Minsk Group itself are consistently criticized for having not achieved anything. It is not true and it is not the way we look at it,” he told Trend. Bryza said the framework has been finished since 2008, adding that there are the Madrid Principles that are absolutely workable compromises allowing Azerbaijan to restore its territorial integrity. Touching upon Turkey and Germany’s inclusion in the list of Minsk Group co-chairing countries, he considered it as impossible. There is absolutely no way that Armenia will ever accept Turkey as a mediator in the settlement of the Nagorno-Karabakh conflict, according to Bryza. He added that Turkey is a country that Armenia is more afraid of it than any other. Bryza further said Germany is not able to make a significant contribution to the settlement of the conflict, adding that the EU could make a lot of sense, since it is a partner of the U.S. and Russia. Bryza believes a better idea would be to pull the Minsk Group out of discussion and encourage the presidents of Azerbaijan and Armenia to talk to each other, noting that there is no need for mediators anymore and the sides can appoint separate mediators - someone that can be trusted to arrange the meeting.